Welcome children of Earth, do not be afraid. Realizing her mistake too late, Meredith screams “Yes!” and instantly finds herself transported to a mysterious island, alongside hundreds of other Candidates like her, each pulled from human history with seemingly little in common. But when Meredith stumbles across a cryptic message meant only for her, she uncovers an even bigger mystery - a mystery that places the fate of humanity’s future firmly in her hands. With the help of her new companions, Meredith sets out on an impossible journey to find the one person who can solve the riddle of why they were brought to this strange, alien Earth...assuming they can survive the dangers that lurk within this new world and the dark forces massing against them. 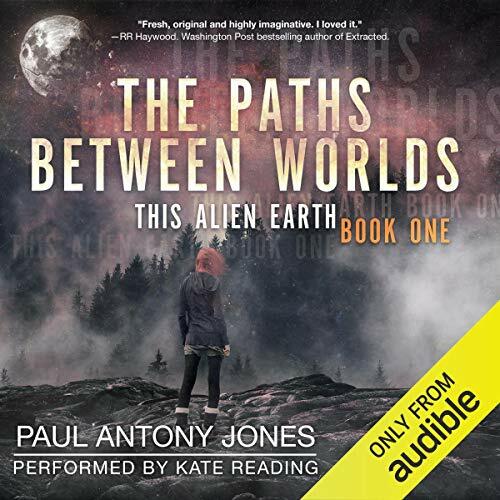 Check out the first audiobook in the This Alien Earth Series, a futuristic adventure perfect for fans of Jeremy Robinson, Stephen King, and Lost. ©2019 Aethon Books (P)2019 Audible, Inc.